A project that first got underway almost two years ago finally launched today with the first 12 of the 31 selected Turf Moor Heroes being placed on the Bob Lord Stand. The project was about trying to improve the exterior of the ground and started with a message board thread in spring 2015 asking for ideas. One such idea put forward was to have a photograph of an ex-player beside each turnstile. While not really practical to have them by each turnstile, the idea was taken on board and a group of supporters was set up to set the wheels in motion. Chris Wells, Julian Booth and myself from the supporters clubs were joined by Andy Butler, David and Mikey Watson from the message board and with the club’s chief executive David Baldwin involved right at the beginning we soon had plans to select thirty players which was done via an online vote in August 2015, the final result giving us 31 because of a tie in the group of our most recent players. There was still a long way to go although I don’t think any of us thought we would have to wait until January 2017 to see phase 1 completed, but there was a lot of work to be done and funding to be found. Each of the players will be sponsored. Many have been taken up by the various supporters clubs, others by individuals and companies and one by this website. Using the fairest method possible, a draw was made to decide who got which players and Up the Clarets was delighted to be allocated Brian Miller. There are two other people to thank. Firstly Adam Riding, the club’s graphic designer. He’s done all the work on the images, and at times it was difficult to find one that would work. In the end, Jack Yates, our first ever international, had to be omitted because no suitable image could be found. His place was taken by George Halley; he was the next highest in the vote from the pre-war era. We needed to find a company to manufacture and fit the boards and Aaron Diggle’s company Creation Signs in Bacup was our choice. Aaron is a Claret and it really has been the perfect fit, working with a fellow Burnley supporter. 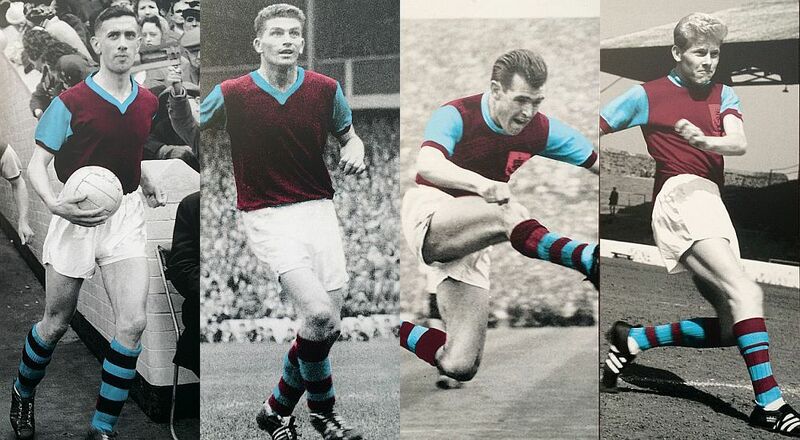 And today, that first phase of six players from the pre-war era and six post-war players up to 1960 were installed in three groups of four on the Bob Lord Stand. 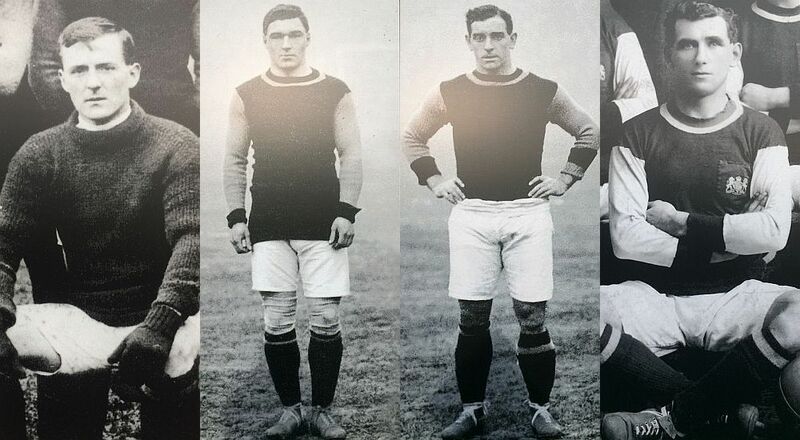 The first four – Jerry Dawson, Bert Freeman, Tommy Boyle and George Halley – are situated to the left of the first group of turnstiles closest to the away fans entrance after the introduction board. 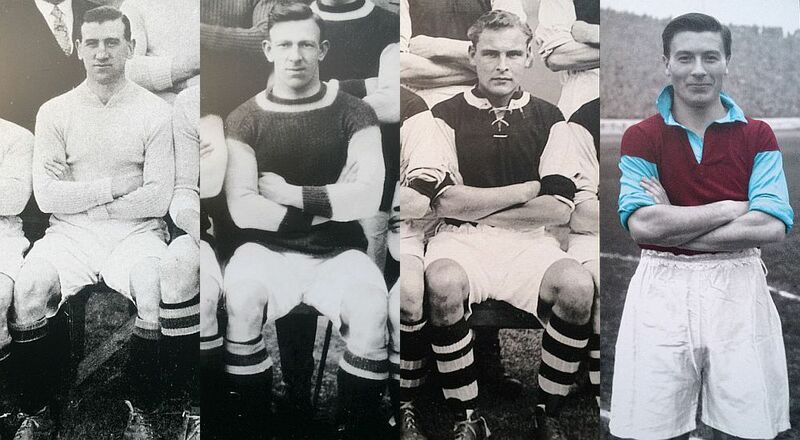 The next four – Bob Kelly, George Beel, Harry Potts and Jimmy McIlroy are on the 1882 lounge wall and the last four – Jimmy Adamson, Brian Miller, John Connelly and Ray Pointer – can be found by the four new turnstiles which are under the new office accommodation. With the first phase complete, work has now commenced on preparing phase 2 on the Jimmy McIlroy Stand – the players selected for that stand are Willie Irvine, Ralph Coates, Frank Casper, Martin Dobson, Leighton James and Peter Noble. Those installed today are shown below.